I absolutely love when my kids want to cook or help me cook. I’ve learned, though, that they get the most out of it when I let them be in charge (not easy for a somewhat controlling chef to do!). 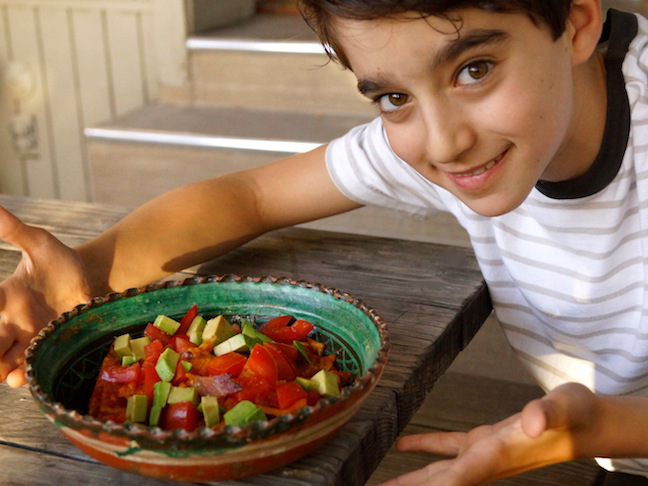 My goal for my kids in the kitchen is for them to learn about food and how to prepare it, and mostly to have fun! So I give them as much freedom as I can. 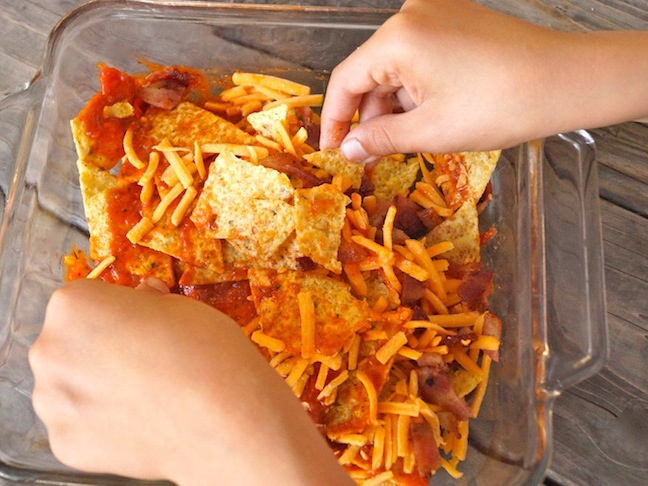 My eleven-year-old son loves nachos, but not just any nachos. The cheese is only the beginning for him, as he adds a small list of his favorite foods on top. When he has friends over who might not like his particular list, I let them choose their own. It’s super fun, and everyone gets exactly what they like. 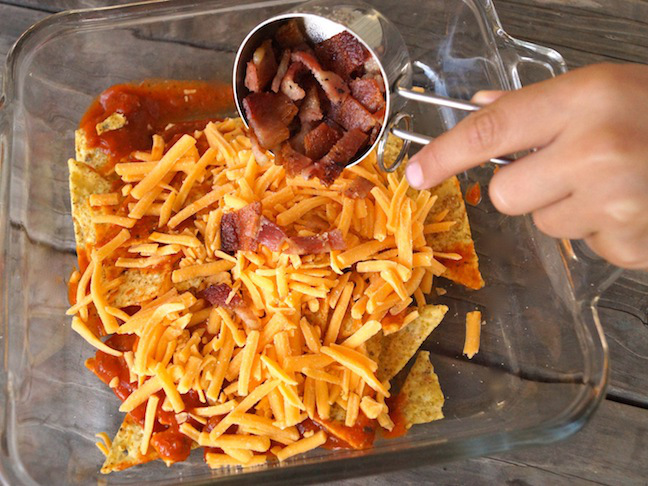 My son calls this particular customized nachos recipe Nachos 2.5—just because it sounds cool. 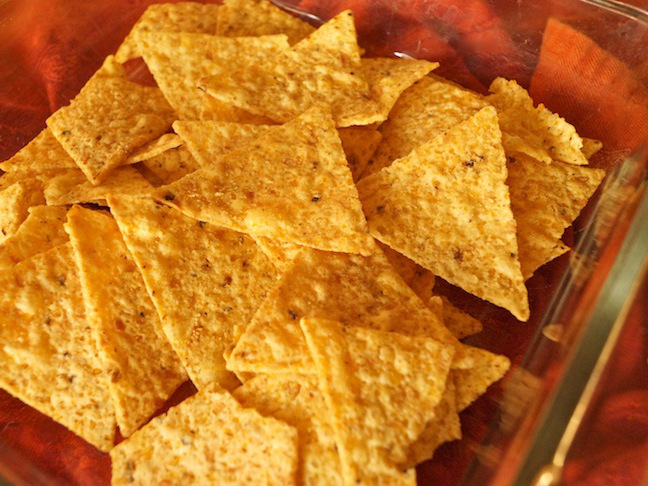 Step 1: Preheat the oven to 375 degrees F, and add the chips to a square (approximately 8 x 8 inch) baking dish. 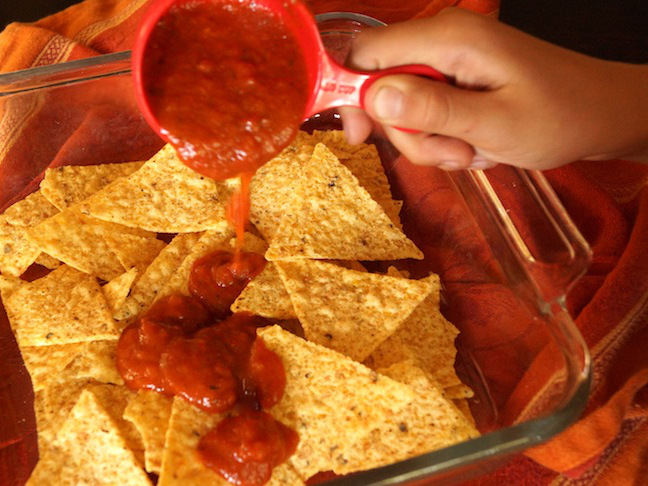 Step 2: Drizzle the marinara sauce over the chips. 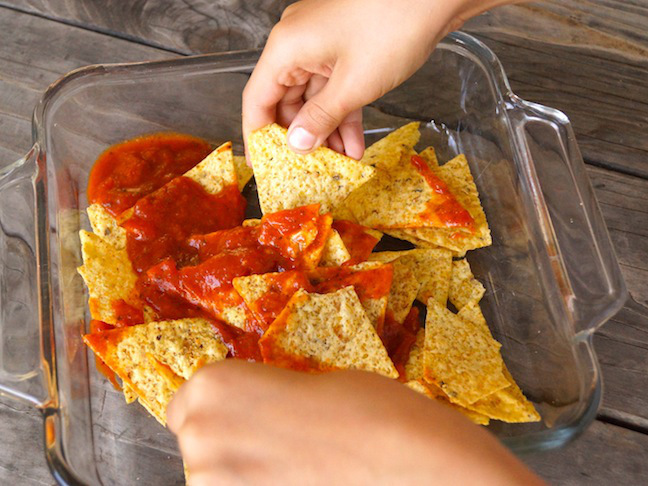 Step 3: Use the chips to incorporate the sauce. Step 4: Pour the cheese on top. Step 5: And then the bacon. Step 6: Mix everything together and place in the preheated 375 degree F oven until the cheese melts, about 5 minutes. 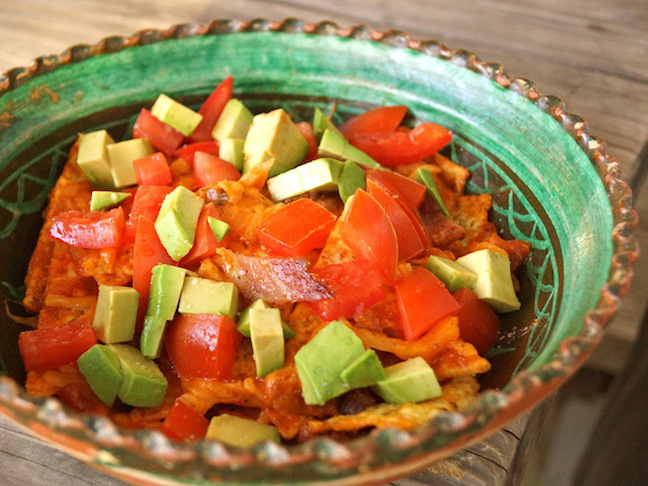 Step 7: Top with the tomatoes and avocado, and serve! 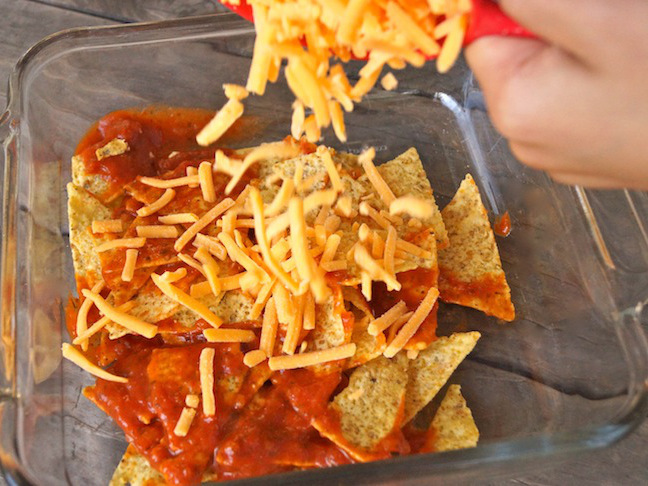 *Your kids can use any chips, any sauce, and any other ingredients and toppings they like. Whatever suits them!